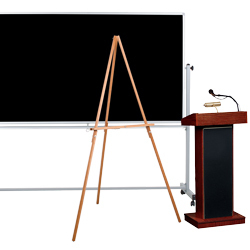 From chalkboards to TV carts, we have all the classroom and school presentation aids you need to keep students engaged in a classroom or auditorium. 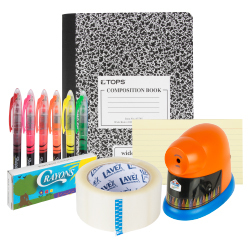 Stock up on all the essential classroom supplies, so your school day will run more smoothly. 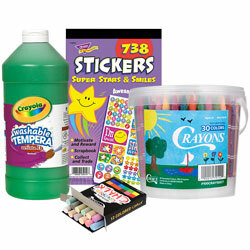 We carry paper, crayons, tape, and more. Allow young students to create a range of art projects in the classroom with our assortment of early childhood education supplies. 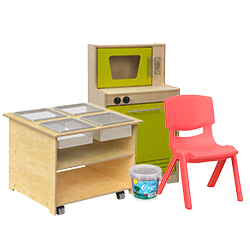 Make sure your classroom is outfitted with early learning furniture and storage that's just the right size for young learners. 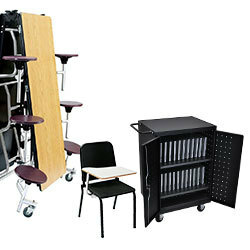 We carry all the school furniture you need for your classroom, science lab, auditorium, cafeteria, or even music room. 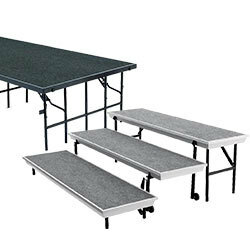 Set up your auditorium for choral concerts, graduations, and more with these stages and risers. We also offer stage skirting for added visual appeal. 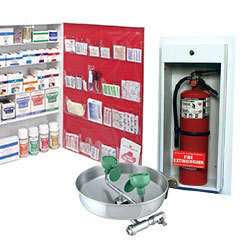 Our emergency and school nurse supplies include everything you need to keep your students and staff healthy, safe, and protected. 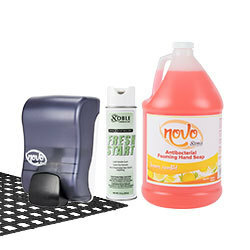 We have all the locker room and gymnasium supplies you need for your physical education classes, including lockers, weight room mats, and hand soap. 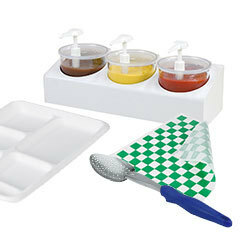 Make your school meal service more efficient by stocking up on cafeteria service supplies. We have everything from trays to cash register stands. You’ll find all the cafeteria equipment you need to cook, bake, and clean up. We carry commercial refrigerators, dishwashers, steam kettles, and more. 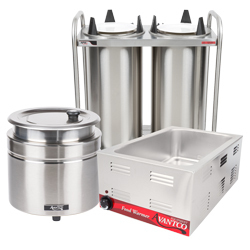 Keep prepared foods heated and at safe serving temperatures with our warming and holding equipment. 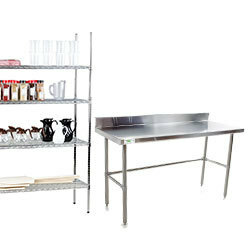 Complete your foodservice setup with sinks, shelving, and work tables. These products allow you to store and prepare ingredients and clean up after. 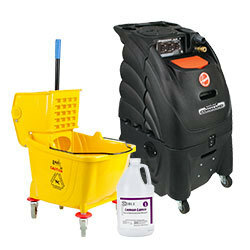 Keep your school clean and presentable with these janitorial supplies like rotary floor machines, mops, vacuum cleaners, and cleaning chemicals. The better environment you provide for your students, the more enjoyable and valuable their school experience will be. We offer only the highest quality wholesale school equipment that will make the academic year run more smoothly. No matter what segment of your school you’re shopping for, you’ve come to the right place for all your school supplies. From elementary schools and trade schools to universities, get all your necessities in one convenient stop. Don’t forget to also check out our coffee and beverage supplies, including coffee airpots, sugar, sweetener, and creamer, and paper hot cups for a fully stocked break room for your administrators, faculty, and staff! If you're wondering where to buy school supplies, we have a large selection of school supplies for sale at the lowest prices. Keep milk fresh and chilled at your school cafeteria with the Avantco MC34, 49, or 58 milk cooler! With convenient hold-down doors, you can be sure that your students and staff have easy access to milk during busy service hours. Our selection of school supplies provides educators with the best tools, from presentation boards, seminar tables, and lecterns to craft supplies, markers, and chalk. By using these supplies, teachers will be able to create more compelling and interactive presentations for their students. We also carry furniture for your academic building! Outfit classrooms with activity tables, desk chairs, and lab stools, and supply your auditorium with stages, risers, and folding chairs. Computer carts and A/V carts are also available for teachers to transport their supplies from one classroom to the next. Meal service is also an important part of any school. Whether you run a grade school lunch room, or you’re the operator of a university dining hall, we have the wholesale school equipment you need for foodservice. From ovens, steamers, and countertop food holders to dishwashers, milk coolers, and refrigerators, you’re sure to find what you need for your prep or cleanup needs. Don’t forget to stock up on plates, trays, and other necessary dishware, as well. 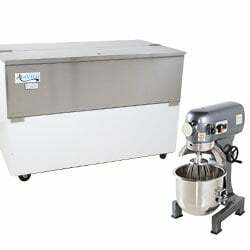 Manitowoc UYF-0140A NEO 26" Air Cooled Undercounter Half Dice Cube Ice Machine with 90 lb. Bin - 115V, 137 lb.